Having installed MH Magazine you are using one of the most popular, flexible and versatile magazine WordPress themes on the market. MH Magazine offers you the ability to create all kinds of different front page layouts by using widgets. This flexible magazine WordPress theme includes several awesome custom widgets with different layout options to select from as well as sophisticated color options to let you assemble a nice and appealing color scheme for your website. Whether you opt for one or two sidebars, boxed or wide layout – many fancy possibilities are just a few clicks away. MH Magazine documentation: How to start? MH Magazine is a WordPress theme for self-hosted websites. That means in order to run your WordPress site, you need a hosting plan at a hosting provider of your choice. In case you haven’t got a hosting provider yet, we have an overview of some popular and reliable WordPress hosting companies. 1 – How to upload, install and activate MH Magazine? 2 – How to set up a static front page in WordPress? 3 – How & where to place widgets on your website? 4 – How to place widgets like in the MH Magazine demos? 5 – What about articles/posts, categories, tags and menus? 6 – What are the image dimensions in MH Magazine? 7 – How to add logo, header image and site title / tagline? 8 – How to adjust options & layout? 9 – How do related articles work? 10 – How to add social icons in header? 11 – How to create contact page? 12 – How to customize MH Magazine? After you have purchased MH Magazine you can download the theme as a zip file. Make sure to not unpack the zip file before installation and ensure that you have no program running on your computer which automatically unzips zip files after the download. If you are running such a tool, you’ll need to disable this first because WordPress requires a zip file in order to install a theme. After you have downloaded the theme, please login to your WordPress dashboard and go to Appearance => Themes. Click the Add New, Upload Theme and Install Now buttons to upload and install the theme zip file. Finally click on Activate to activate your new WordPress theme. Now the installation is completed and the MH Magazine theme is activated. In case you need more detailed instructions, please see: How to install a WordPress theme. If you get an error that the file exceeds the maximum file size while you try uploading the theme, then there is a limit on your server which you can easily increase. See this article for more information: How to Increase the Memory & Upload Limit in WordPress. In order to create a magazine like front page like shown in the theme demos for MH Magazine, you first have to create a new page named Home (or else) under Pages in your WordPress dashboard. Then select the Homepage template for your just newly created page under Page Attributes on the right side – and publish this page. Second, go to Settings => Reading in your WordPress dashboard, select A static page and select your just created new page Home as Front page. Don’t forget to save your changes. That’s it – you have now created a static front page which is required to display widgets on your front page as you will see later in this documentation. In case you need more detailed instructions, please see: How to set a static front page in WordPress. In this important step, we will show you where and how to place widgets. You can place widgets either through the WordPress customizer Appearance => Customize => Widgets or in your WordPress dashboard if you go to Appearance => Widgets. Widgets can be placed simply via drag and drop, so just pull your favored widget to the widget area you like. Please notice: In case you can not see any widgets on your front page after having placed them, it is very likely you have not set a static front page correctly and probably haven’t defined the Homepage template for your static front page as required. Sidebar: Widget area (sidebar left/right) on single posts, pages and archives. Posts 1: Widget area above single post content. Posts 2: Widget area below single post content. Footer 1 – Footer 4: Widget areas located in the footer. Home 12: As soon as you enable Two sidebars in your WordPress dashboard, the site width will automatically increase and there will be an additional sidebar on the widgetized Homepage template available in your WordPress dashboard under Appearance => Widgets. MH Slider – to show slides of content on front page. MH Custom Posts – to display posts based on categories or tags. Quick tip: If you want to learn more about the design and layout of the included custom widgets, then please have a look at our overview of custom widgets in the MH Magazine WordPress theme. MH Magazine WordPress theme is perfectly suitable to handle large amounts of content in an appealing and well-organized way. In case your previous WordPress website already contained articles/posts, pages, categories, tags and menus, you can simply rearrange this existing content. If you do not have any content on your website yet, you could start publishing some posts (recommended) or upload dummy content if you like. You can also find more information about WordPress basics in our support center (use the search field) or in the WordPress Codex. As mentioned before, these tutorials are about the handling of WordPress itself and this is not necessarily related to the theme. But it’s essential that you make yourself familiar with WordPress in order to run a professional website. You can also find a lot of additional WordPress tutorials online and especially the WordPress Codex provides a lot of helpful information. Each WordPress theme usually has defined its own image dimensions for thumbnails. It is very likely that the theme you were using previously to MH Magazine had different image dimensions / sizes for thumbnails. MH Magazine makes use of featured images (this is standard in WordPress) to display thumbnails on posts (large featured image), archives and within several included custom widgets. With MH Magazine you may customize your header in many different ways. To upload a full-width header image, go to Appearance => Customize => Header Image in your WordPress dashboard. To upload a logo and display/hide the site title and tagline, you can navigate to Appearance => Customize => Site Identity and apply your changes based on your personal requirements. After you have carefully followed the previous steps, you have successfully completed the basic configuration of the theme. You can now further customize and manage the appearance of your website via the extensive options panel of MH Magazine. Please navigate to Appearance => Customize => Theme Options in your WordPress dashboard to see the theme options panel within the WordPress customizer. Here you can make modifications and enable/disable or change options regarding the layout, typography, colors or else of your theme. The theme options panel contains the following options. To change the font of your website, you can select your favourite font from a collection of most popular Google webfonts in the theme options panel under Typography. You may also easily change the color scheme of your theme with just a few simple clicks by using the included colorpickers. We have extended the basic color options of WordPress under Appearance => Customize => Colors in your WordPress dashboard with some new theme options to easily change the colors of your theme with a few clicks in the customizer. Within the Custom CSS section you can add custom CSS code in case you want to apply minor CSS changes to your website that would not justify the creation of a custom child theme. The CSS code you add in this field won’t be lost after theme updates. Since WordPress 4.7 there is a built-in CSS field in core which you can find in your WordPress dashboard under Appearance => Customize => Additional CSS. If you’re running MH Magazine v3.6.1 or later, the theme related CSS field will automatically disappear in the WordPress Customizer if it doesn’t contain code. This is in favor of the new CSS field in WordPress core to prevent duplicate fields for custom CSS. 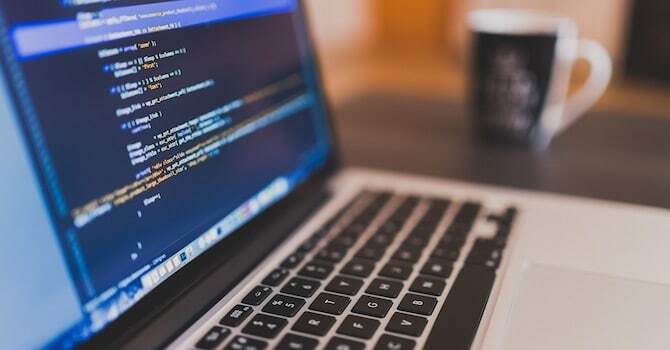 In this section you can add your tracking code like Google Analytics or Piwik to track the visitors on your website for further analysis and optimization. Please note that you are required to add the tracking code and not just the Google Analytics Tracking ID. 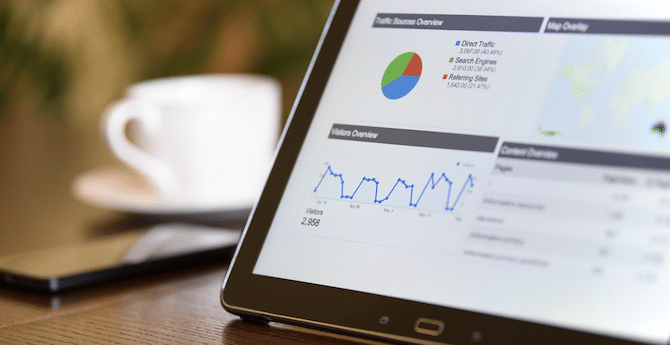 Here you can find more information about Google Analytics: Learn how to add Google Anlaytics to your WordPress website. MH Magazine WordPress theme includes a built-in related articles feature below the content on posts. Displaying related articles is based on tags. So if you want to use this nice feature, and show related articles, please ensure that you have tagged your posts properly. As soon as tags match, articles will automatically be recommended below your posts. Here you can find some more information: How do related posts work. In case you want to display a social icons menu inside the header, you simply need to create a custom social menu with custom links to your social media channels in your WordPress dashboard under Appearance => Menus and assign this menu to the Social Icons in Header menu slot. Please see this tutorial for further information: How to create a Social Icons Menu in WordPress. After you have created the social menu correctly, the theme will automatically recognize the social networks based on their URLs and display the specific icons as expected. Currently the following networks are supported: Behance, Dribbble, Facebook, Flickr, Google, Instagram, LinkedIn, Pinterest, Reddit, Soundcloud, Tumblr, Twitter, Vimeo, Xing and YouTube. MH Magazine WordPress theme offers a built-in Contact page template with an additional sidebar to display different sidebar content on your contact page than on single posts and pages. If you want to use this template for your contact page, you could for example place the MH Facebook Page widget and a text widget with your contact details in the Contact Sidebar widget location under Appearance => Widgets. This comes handy if you don’t want to display your regular sidebar on the contact page. The theme also supports the popular Contact Form 7 plugin to easily create working contact forms with only a few clicks in your WordPress dashboard. Please have a look at the following tutorial to learn more about using the Contact Form 7 plugin: How to create a working contact page. This video tutorial for MH Magazine (v3.0.0) covers the installation and configuration of the theme. 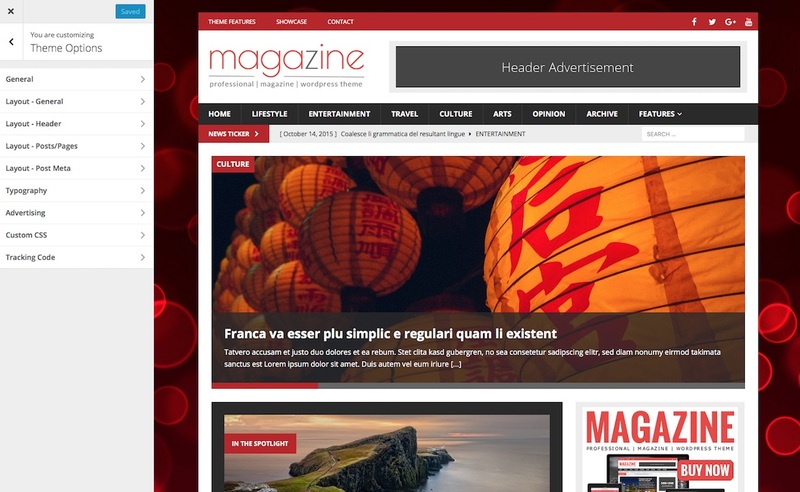 It shows how you can easily upload and install this magazine theme through your WordPress dashboard, create a static front page with the widgetized Homepage template and also covers several aspects of the theme configuration like layout options or changing colors. How to configure MH Magazine after theme activation? Why are there no images on front page and archives? Why are my images not displaying consistent in size? Why are the widgets not displaying on the front page? Why is the MH Slider widget not displaying? Why are my Google AdSense ads not showing up? MH Magazine is a very powerful and flexible WordPress theme to launch websites of all kinds of niches and content genres. You can see an overview of various theme demos of MH Magazine here. After you’ve activated the theme, you can proceed with the configuration by following two simple steps: Create and set a static front page correctly and then configure the layout options and place widgets as you like. If you want to configure the layout of the MH Magazine theme like one of the theme demos, just create and set the static front page correctly and then select your preferred theme demo and follow the instructions as stated here (click the image of your preferred demo): How to replicate MH Magazine demos. 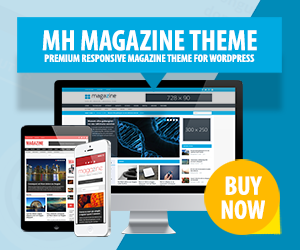 Like most professional WordPress themes nowadays, the MH Magazine theme makes use of featured images. In case you see gray image placeholders instead of images on your front page or on archives, then you haven’t set featured images for your posts: How to use featured images in WordPress. Please always regenerate your thumbnails after you’ve changed the WordPress theme on your website. This will ensure that you’re displaying thumbnails with correct size. In case regenerating thumbnails doesn’t solve your issue, then the images you’ve uploaded usually are too small and you need to upload images with decent size as defined by your WordPress theme: Image dimensions in MH Magazine. In case you’ve placed widgets into the Home widget areas and in case the widgets are not displaying as expected, then you usually haven’t configured your static front page correctly. In case you’ve placed the MH Slider widget into one of the Home widget areas and in case the widget isn’t displaying, then you either haven’t configured your static front page correctly or you’re running a plugin on your site that is blocking the slider from showing up (in that case try to disable your plugins). When it comes to displaying advertisements on your website, then please note that your WordPress theme doesn’t affect your ads in any way. The theme will just output the code you’ve added and the rest is up to the advertiser. More information: Common reasons why Google AdSense ads are not displaying. If you would like to use shortcodes to easily add styled elements like tabs, columns, boxes, accordions or else to your website, we recommend the Shortcodes Ultimate plugin. This plugin has included tons of useful shortcodes to easily customize your website. You can find more information and the documentation on the plugin site. 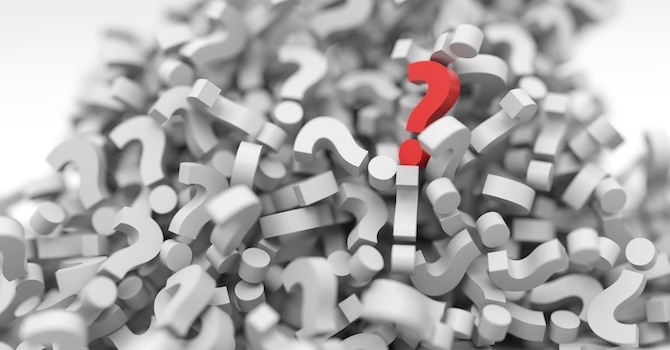 In case you have purchased a WordPress theme by MH Themes, you have theme support included and we’ll be more than happy to answer your questions in case you need additional assistance with your WordPress theme. As an alternative, we can also help you get started through our paid theme installation service where we can install and configure the theme for you to replicate the layout of the particular theme demo. This is especially useful if you are not yet familiar with WordPress.